Close your eyes and imagine walking the same mountain trails the great Inca once trod. Or guiding your boat down a jungle river in the Amazon basin still used by indigenous people who live much as their ancestors did hundreds of years ago. Perhaps you'd prefer exploring ancient ruins of empires lost to time. Or you want to go for adventure travel Indiana Jones, style, in a rugged jeep across rivers. 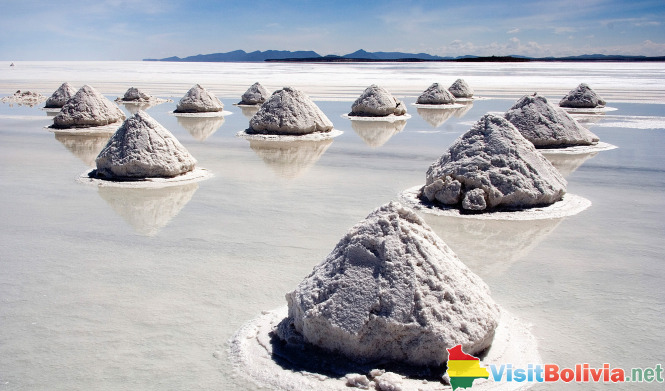 You can experience all of this and more when you come to Bolivia. If mountain climbing is your passion, make sure to the Cordillera Real, the western spur of the Andes Range. With six mountains over 19,500 feet, it offers plenty to challenge even the most experienced mountain climber. But if extreme climbing isn't for you, you can still enjoy a trek through the Andes. You will find trails here that date back before the Spanish Conquest, before even the Inca Empire. You can travel the same paths tread by indigenous people for over a thousand years, visiting villages and ruins that are often just as old. Trekking through the Andes also affords incredible views of glaciers and as you descend into the valleys, you will be amazed by the cloud forests. You will also find the world's most dangerous road in Bolivia. It is also frequently driven on by mountain bikers and sees many deaths each year. Starting high in Bolivian Andes, the steep and bumpy road plunges down almost 3,600 meters on its spectacular 64km path to the lush, sub-tropical Yungas and the sleepy town of Coroico. The narrow track hugs the walls of the sheer valley as it snakes its way beneath waterfalls and rocky overhangs. A fatal accident every fortnight is not uncommon on the Coroico road. And there's more to Bolivia than the mountains. Much of northern Bolivia consists of the Amazon Jungle, and excursions are available on foot or by boat. River trips are available ranging from a few hours to several days. The rivers are home to anaconda, piranha, rays, electric eels, and innumerable game fish. Additionally, the region is home to over 500 species of birds and over 200 species of reptiles and amphibians, including numerous crocodilians. As fascinating as the Andes and Amazon regions are, however, adventure travelers will want to be sure to take in some of the one of a kind experiences Bolivia offers. One place no one should miss is the Salar de Uyuni, the world's largest salt flat. The salt flat is more than 75 miles long, and features some of the most spectacular views anywhere in the world. In many places, you can see nothing but salt as far as the eye can see. The view is particularly breathtaking at sunrise and sunset, when the reflected rays seem to bring the landscape alive with color. Whether you travel by foot, by boat, by bike, or by motor vehicle, you will have no trouble finding all the adventure you can handle in Bolivia.